Distance From Places 3 km from Gyan Gopalji Mandir. Extra Pass through small villages on the way and catch a glimpse of the local lifestyle. Opening Hours As per your booking but closes before sunset. People Love For Place A thrilling ride on the Camel watching the enchanting deserts and soothing sunset. Ticket Price Rs.400 per person for 1 hour. Des Enjoy the beautiful views of mountains, Aravalli hills and semi-desert landscapes. Distance From Places 11 km from Ajmer. Extra Meals,Transport and pick-up and drop facility. 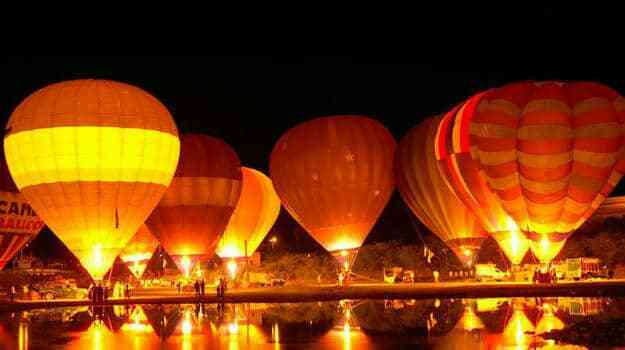 People Love For Place A calm night under the sky with Delicious Veg Rajasthani Food and bonfire. Ticket Price Rs. 3750 per person for 2days and 1 night. Distance From Places 13 km from Ajmer Dargah Shariff. Extra Enjoy your evening with a Kalbeliya Dance and a Puppet Show.. Meals,Transportation,Accommodation Included. Opening Hours The day stars from 3:00 pm followed by the night continued for the next day. People Love For Place Stunning Aravali Hills, vast natural bounties and relaxing nature. Ticket Price Rs. 5000 onwards for 2days and 1 night. 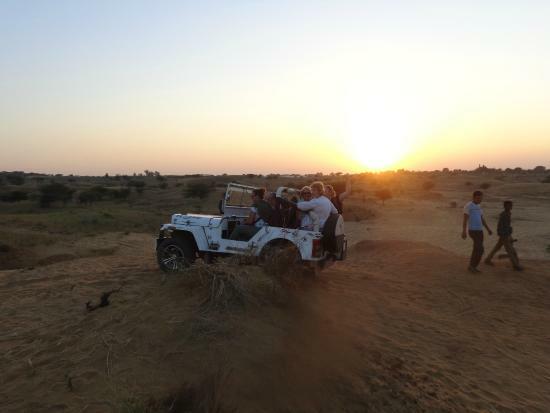 Des Enthral in an amazing Pushkar camel safari while in the land of deserts. Take a walk around the vicinity, interact with farmers and villagers who will provide you with virgin information about their town. Extra Well trained and friendly horses with informed and knowledgeable guides. People Love For Place Capturing the spirit of Pushkar and its tradition of fairs and festivals. Ticket Price Rs. 550 per hour. Des Get an outstanding horse safari starting in the beautiful countryside and riding to Pushkar Camel Fair on fine Marwari horses. Opening Hours From Morning till Evening but the dates of the festival changes every year depending on the cycling of the moon. People Love For Place The ride in the clear skies of Pushkar and the breathtaking view from above. Des The half hour ride in the skies of Pushkar will set your adrenaline rushing without being scary at-all. Extra Every drive brings one closer to the nature, when passing through the beautiful and quiet countryside of Rajasthan. People Love For Place An alternative to Camel Safari and a thrilling experience. Ticket Price Rs.3400 for an entire day and night. Des Explore the rugged terrain and also explore the unexplored parts of the desert without getting dusty. Extra Meals, Guide, Accomodation included. People Love For Place Experience the local village traditions,foods,folk stories and local food. Ticket Price Rs. 3,300 for one entire day and the night. Des Have a fun filled night gazing the stars in front of a bonfire. Extra Ride through the city and enjoy the amazing view and the cityscape before stepping into the desert. People Love For Place Riding in the sand dunes is an ultimate fun.A must try sport in Pushkar desert. Ticket Price Rs.750 for 15 min. Des Enthrall in this exciting 15 minutes quad biking experience which will starts from the Aram Bagh Hotel.Explore the desert in a 90cc, 200cc, or 300cc ATV for the ultimate fun. Extra A meal at Rooftop hotel included. Also transport facility is available. Opening Hours Morning 7:00 am onwards. People Love For Place Stunning Scenic beauty of this region and its local traditions. Ticket Price Rs. 1320 for 4 hours. 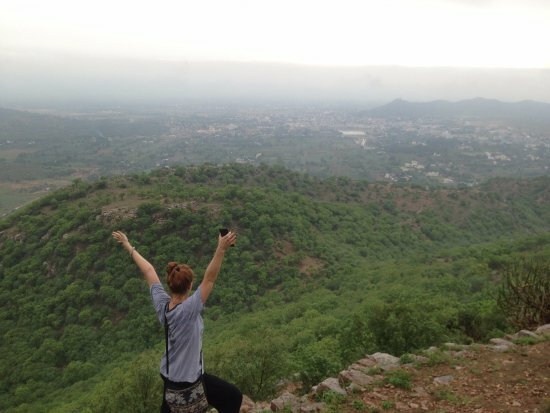 Des Hike through the amazing hills of the Savatri, Gayatri and Naag to enjoy its scenic view.